Wet hair. Lather and rinse thoroughly. Repeat if desired. INGREDIENTS: Tea Tree Oil, Hemp Oil, Almond Oil, Olive Oil, Coconut Oil, Castor Oil, fresh pure New Hampshire spring water, Sodium Hydroxide (a binder). Made the Old-Fashioned way-by hand! 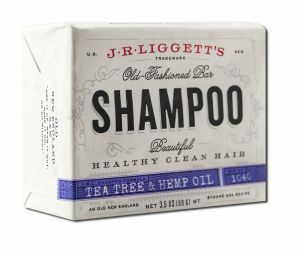 Tea Tree Oil has powerful antiseptic & anti-bacterial properties that enhance our shampoo's abilities to effectively tame dermatitis, itchy-flaky-scalp conditions, and may also stimulate hair growth. 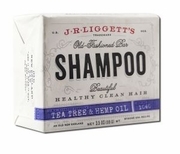 Hemp Oil contains a combination of essential fatty acids that supply your hair's acute nutritional needs. Almond Oil provides the important moisturizing healthy hair requires. NO FRAGRANCE ADDED! Because it is not a liquid , each bar offers the approximate number of usages as a 24oz. bottle of most modern shampoos.